When you have little ones in the house, it is important to make your bathroom kid-friendly by keeping safety and fun in mind. Remember that many items in a kids bathroom require special accommodations, such as anti-scald devices installed on the shower heads and bath faucets. Extra hampers, bins and other storage options for holding your children’s toys are also useful additions. Besides making the room safe, create a fun place full of colors and interesting toys for your kids so that they look forward to bath time instead of dreading it. Safety is key when you design a kids themed bathroom. Place non-slip mats in the tub, select slip-resistant tiles for your floor and install grab bars that are low enough for your children to hold. If your bathroom has glass doors, make sure they are made of special safety glass. Childproof outlet covers keep your little ones from sticking their fingers into sockets, and a disabled door lock keeps your kids from locking themselves inside the room. 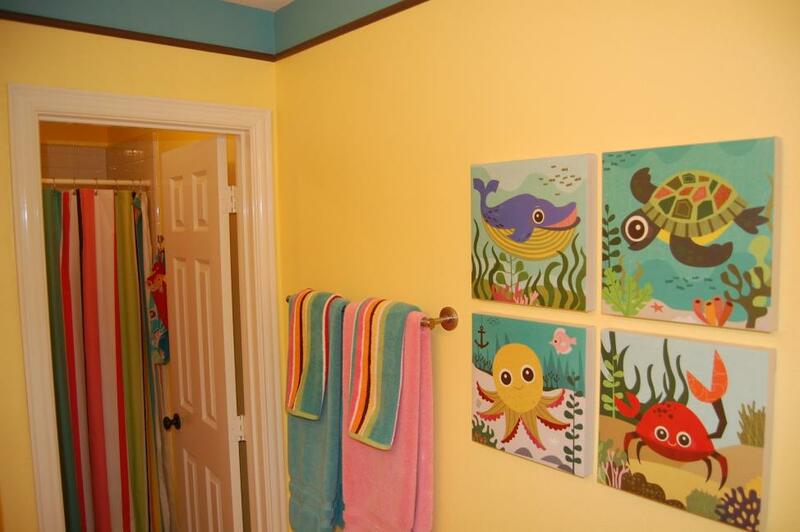 To make the surroundings look appealing, create a kids colorful bathroom. Use standard bath and sink faucets and other fixtures, but go crazy with your accessories, such as towels and shower curtains. For example, it is easy to introduce a cheery maritime theme into a bathroom by adding washcloths, rugs and decals decorated with brightly colored images of boats, sand dollars and pirates. Another aspect to keep in mind is whether your household’s adults ever use the kids bathroom. If so, make sure that any changes you make to the room accommodate both you and your children without compromising anyone’s safety.